So.. This is the first ever Cover Reveal here on Bite Into Books. 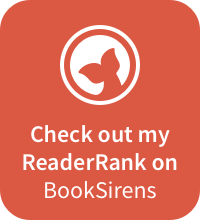 I don't plan to do a lot of those, but there is this one author that I can't refuse! I'm talking about the awesome Petra Landon. 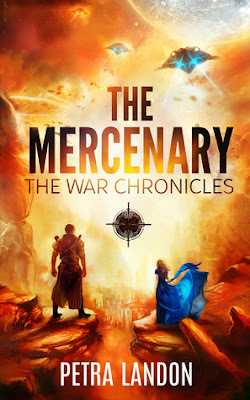 Her new book, The Mercenary will be published on August 25th! I've first read her book The Prophecy and after that I hosted a Giveaway. 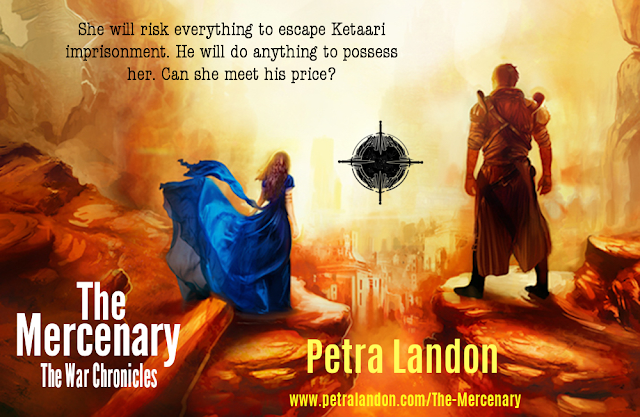 Since then I've been having contact with Petra and her next book The Mercenary is just what I expected after The Prophecy; A great book with the necessary romantical vibes! My review for The Mercenary will be online this Sunday and a Giveaway will be hosted August 27th, here on Bite Into Books, where you can win 1 physical copy, and also 4 e-books are ready to be given away! Saakshi, a Budheya girl imprisoned by the Ketaari Imperial Forces, is sent to a distant space station to work as a server girl in an alehouse. For a girl who has known only hardship in her short life, things could be worse. Until an old foe from the past walks into the alehouse. Alone, friendless and far from home, desperation forces her to turn to an unlikely source for assistance. Zoran is Hadari’Kor, notorious across star systems for their prowess in battle. Their reputation as nomadic mercenaries who owe allegiance to none and only fight for hire make people wary of tangling with them. 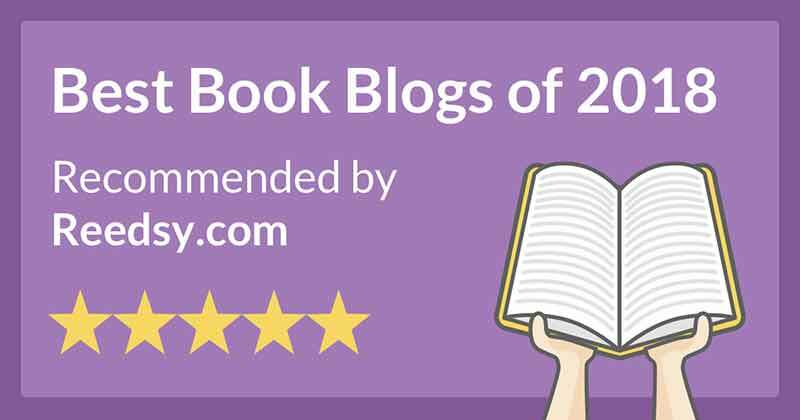 Check out this hot sci-fi romance and don't forget to return for my review this Sunday or for the Giveaway on August 27th!